No one is perfect, and that is more than fine; heck some people even say our flaws are what make us human. Now with that said there are a few flaws that you have to avoid when applying for a job. Kavaliro has compiled our list of top 10 interview mistakes that will make it harder for you to land the job. 1. Proofread your resume for incorrect information and spelling errors. As you move through the interview process, companies will reach out to your references. Don't be caught with incorrect information on your resume it could cost you the job! 2. Make sure to listen to the questions asked by the interviewer. Listening is one of the skills your future employer will want you to have. Don't cut off their questions, and make sure you think about your answer. It is ok to take a moment and pause to ensure you are referring back to their question. 3. Avoid talking to the interviewer about non-business related matters. Although it's interesting that you have two dogs, three cats, and only eat tacos on Thursdays, try to keep your conversation focused, and stay away from topics that could open you up to hiring bias (ex. family situations, kids, medical issues). 4. Never complain about a former supervisor during an interview. 5. Wear appropriate clothing, such as business attire, for an employment interview. Proper clothing is a basic must do! You should be slightly overdressed in comparison to everyone else in the office. Check out our blog, Basics to Get a Job if you want more information! 6. Don’t forget to ask questions during the interview. It is more than fine, as the interview starts to wind down, to ask a few questions about the company itself. Remember you are interviewing them just as much as they are interviewing you. Just remember not to go too in depth with your questions and stay away from topics like salary and benefits until it's the appropriate. 7. 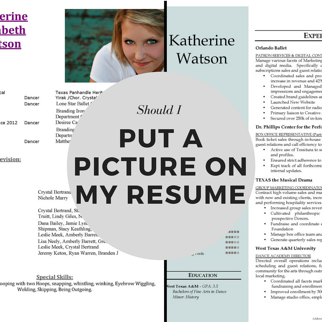 Always review the job description before preparing and submitting a resume. You should not be applying for jobs that you are not a good fit for. Make sure you can meet all the qualifications and have the skills the employer is looking for. Once you have determined that you can do the job, tailor your resume to highlight your relevant experience. 8. Be forthcoming with previous employment evaluations because they show proof of past positive performance and productivity. You are not expected to show your future employer proof; this isn't like showing your parents your report card. Come to your interview prepared with stories of your past performance and times when you overcame something and made a seemingly impossible deadline. 9. Shake the interviewer's hand when first entering his/her office. Then shake the interviewer's hand again when finishing the interview. 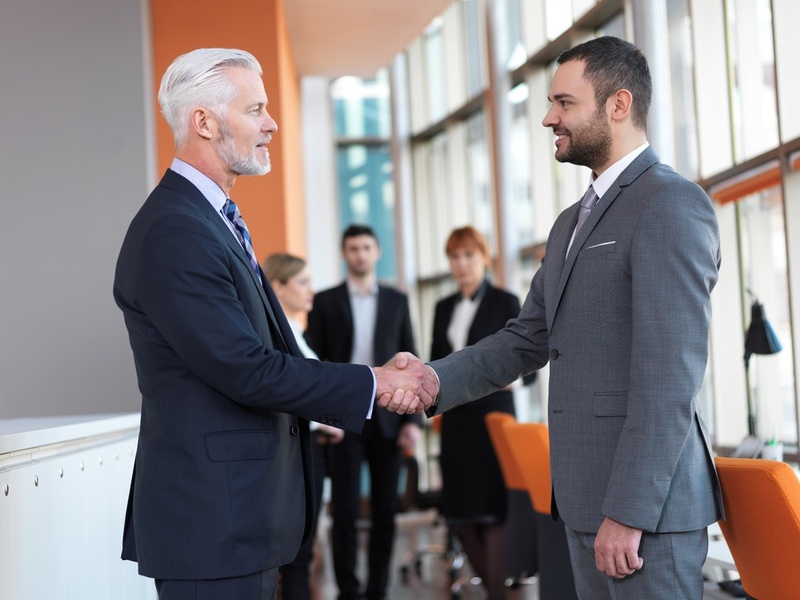 The handshake is a sign of respect and is a fantastic moment for you to connect with the interviewer. 10. Don’t forget to thank the interviewer for the opportunity to interview for the position. You can do this while shaking their hand or by sending a Thank You Note (tips on how to write the perfect one can be found HERE). We know interviewing can be stressful, but following these simple rules will give you the best shot in landing the job!